Happily the rains have arrived, quenching parched lands and sending leaves swirling on their yearly descent to the ground. Speaking of swirling, Daily Acts has been engaged in a whirlwind of activity recently: from rebuild-focused workshops on rainwater and graywater, to speaking at conferences and meeting with a wide range of community leaders. Then of course, our Ripple the World fundraising breakfast is just around the corner. Join us in creating solutions! Amidst the beauty and distress of the times, we are just days away from the one year anniversary of the fires. Our hearts and thoughts are with those who lost so much. We continue to dedicate our work toward a resilient Sonoma County, and beyond and are grateful you are here with us, working toward that shared future. We live in a big planetary moment and to effectively rise to the times, we need to do three things…take heart, take part and take action. To show up our best requires our full presence, especially amidst so much noise and confusion, hurry and hurt. Our communities are abuzz with people, groups and coalitions taking heart and taking part to take wiser collective action that is commensurate with the scale of the challenges we face. Here’s a brief update from some of what’s going on to help you take heart and to remind you to take part to get nourished and connected and to determine how best to use your daily actions. As few need to be reminded, next week is the anniversary of the historic fires that raged through our communities, to close a record-setting year of devastating extreme weather events across the United States. Over recent decades, we have seen a many fold escalation of such tragic events. In Sonoma County alone over the last five years, we have gone from record drought, to record rains and flooding, to record fires. If we pay any kind of attention, it’s easy to hear our planet saying wake the hell up. She speaks in a discordant harmony with that unsettling sense in your gut that things are not all right. This is our survival instinct. It’s our ancestors speaking from our blood and bones, calling us home; saying now is a time for great love, great courage and great action. When we heed this call, taking action in ways big and small, we align ourselves with a much larger, nourishing and galvanizing power: a global immune response. 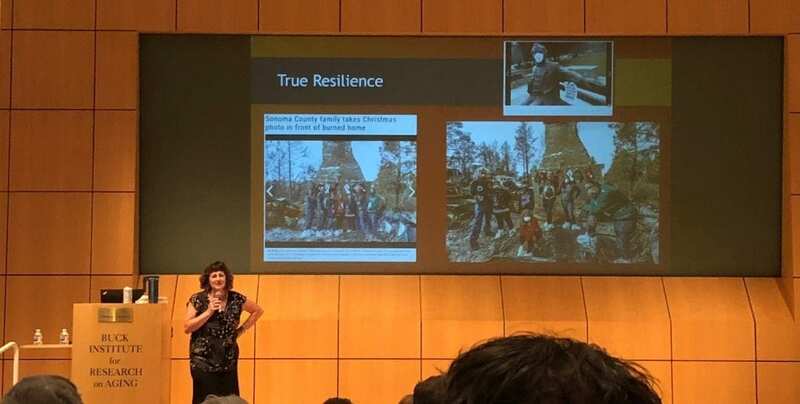 In September, I sat on the stage at the NorCal Permaculture Convergence with five amazing Sonoma County leaders for a conversation about the power of community in fire response, recovery and rebuilding. Daily Acts had been asked to put together this panel so other communities could learn and be better prepared. Ana Lugo, Jenny Chamberlain, Kerry Fugett, Edward Willie, and Chris Grabil gave a glimpse into the deeply inspiring work that has been done since the fires. This ranged from the launch of Soco Rises, Undocufund and the Just and Resilient Futures Fund, to an indigenous perspective on fires following this path for 10,000 years, to where the grassroots and mycelium-inoculated straw waddles meets FEMA in watershed recovery response. This was just a small glimpse of the deeply inspiring, heart-filling work of a community taking great heart and great action amidst great difficulty. Two days before, Daily Actors were split between preparing for a big event to help fire survivors adapt landscape templates to get in their homes sooner while also participating in Rebuild Northbay’s first Advisory Council Retreat. On the same day, the North Bay Climate Action Conference brought together leaders from Marin, Sonoma and Napa Counties. 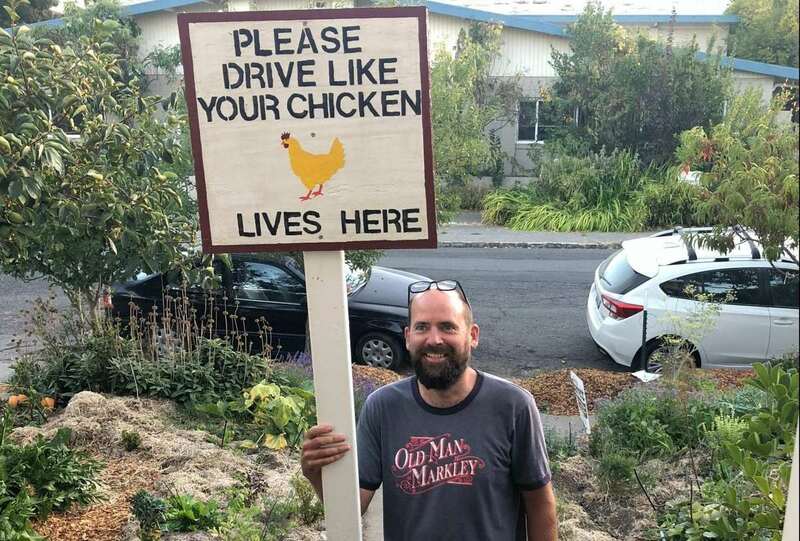 Supervisor James Gore and Grant Davis from Sonoma County Water Agency planted seeds of bold visions of a regional pilot that could model a more regenerative economy while addressing climate emissions and growing community voice and power. After an amazing day and being invited to be part of the closing, I felt thoroughly inspired as well as a strong dose of gratitude and pride as I watched former Daily Acts’ Associate Director Gretchen Schubeck speak from the stage at this impressive event she organized in her new role at the City of Novato. On the backside of all these gatherings, the draft Recovery and Resiliency Framework was presented to the Board of Supervisors last Tuesday. As I reviewed the report to prepare comments for the meeting, I was still digesting the experiences of recent days. The recent Global Climate Action Summit in San Francisco and related protests brought the reality of the climate crisis front and center for many of us. While my praise of the work done and recommendations on the plan can be heard here, a key point I spoke to was the need to make sustainability the primary operating principle for the plan. Resilience is a cornerstone of sustainability, which is the moral and strategic imperative of our time. To reflect the vision of our community as the framework is intended to do, we must broaden beyond recovery and preparing for the next disaster. We need to think and act in accord with what the scientific mandate for survival says we must do to maintain a stable climate. This plan is an opportunity to not just further sustainability goals, but to inspire and drive them. This community consistently models and drives leadership on sustainability at all levels – from neighborhoods and schools to leading green businesses, non-profits and government agencies. And we know what we can expect more of if we don’t strongly prioritize more than recovery and preparedness. Additional comments from the Greenbelt Alliance and Daily Acts can be seen in this week’s Sonoma County Gazette. With so much afoot, it is vital that we both show up and get engaged, but also that we take time for self care, to stay healthy and grounded, and to make sense of things. This is the only way we can take thoughtful effective action. We also need time to tend family and life. I have apples to harvest, garden salsa to make and need to squeeze in a garden sign christening with neighbor and daily actor Jesse Rankin who made signs for the Community Resilience Challenge reminding the cars zooming by to not just drive like your kids live here, but drive like your chickens live here…and your photographer, cats and more. Rebuilding the social cohesion and neighborly connection that is at the heart of resilience isn’t just important; it’s fun and flavorful! Amidst all this buzz of activity, a few weeks ago, Daily Acts re-launched the Leadership Institute with our first cohort. Intent on strengthening the connection between personal and community transformation, the Institute is based around the four pillars of Personal Leadership, Regenerative Living, Civic Engagement and Shared Leadership. WHAT do you most need to rise to the times? Do you need more self-care to bring your best? Or more time getting nourished and empowered by living your regenerative vision and values on a regular basis? Maybe some more civic engagement, showing up at a city council meeting, working with a neighborhood group or by providing input for the Draft Recovery and Resiliency Framework? If you need some deep inspiration, join us at an upcoming workshop or at Bioneers, where I’ll be hosting a panel on Climate Change, Natural Disasters and Community Resilience. And of course we want to see you at Ripple the World. But most of all, what is most important is that you continue to take heart, take part and take action.